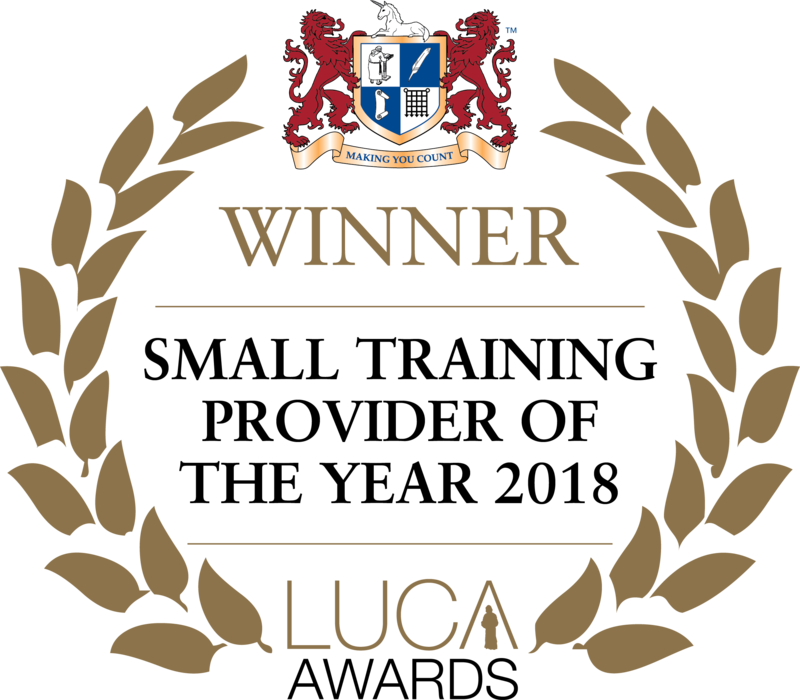 Certificate in Bookkeeping & Accounts - Course BA4, BA5, BA6, BA7 - AWARD WINNING ICB COURSE! 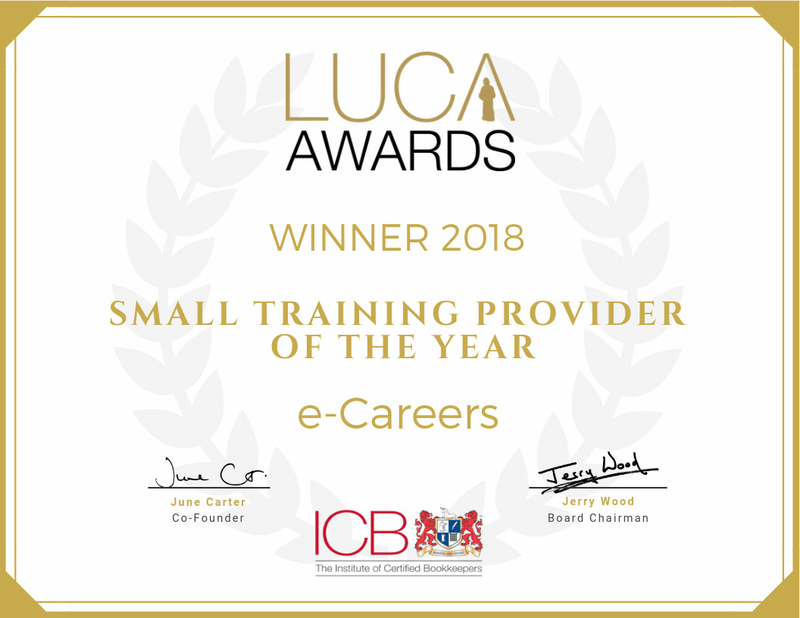 e-Careers are the proud winners of the 2018 Small Training Provider of the Year award the the ICB's annual Luca Awards! This course is fully accredited by the ICB and covers Level 3 (Associate Level) of the ICB Bookkeeping and Accounts qualification structure. You will learn how to perform important duties such as preparing ledger balances, producing accurate VAT returns and posting year-end adjustments to the appropriate industry standard. This course has been developed to incorporate all bookkeeping and accounting principles into the Sage Instant Accounts software. Sage are the market leader for integrated accounting, payroll and payment systems who support over 800,000 companies worldwide with their finance solutions. Bookkeepers are necessary in every single business and sector imaginable! You will be able to use the ICB Associate Level 3 Certificate in Bookkeeping & Accounts to get jobs as an Assistant Bookkeeper with salaries averaging £26,000!. Get started today and begin your career in bookkeeping! Why study ICB courses with e-Careers? Gain a globally recognised ICB certification as a mark of professional distinction. The Institute of Certified Bookkeepers (ICB) is the largest bookkeeping institute in the world. It promotes and maintains the standards of bookkeeping as a profession through relevant qualifications, awarding grades of membership that recognise academic and working achievement. The ICB’s role as a bookkeeping membership body means they provide ongoing support to members to ensure their bookkeepers are up to date with bookkeeping legislation, obligations and are trusted to provide the highest quality of bookkeeping service to businesses. The definition and correct application of specific terms including business entity, going historical cost, consistency and prudence and accruals. We provide you with tutor support throughout your 12-month course access period. Your tutor will be available to you 24/7 and can provide guidance through the course and professional advice to help you through any potential issue you may come across. Your designated tutor will also mark your mock examinations for you. Distinguish yourself with globally recognised ICB bookkeeping membership and designatory letters after your name. Extend your professional network at the annual Bookkeepers Summit, ICB Branch meetings and online forums. Get professional and legislative bookkeeping updates at ICB and in the regular e-newsletter InVoice. Access exclusive areas of the ICB website for technical helpsheets and document templates. Speak to specialist bookkeeping advisors about bookkeeping, tax, AML, law, payroll and much more. Expand your knowledge and skills as a bookkeeper with the ICB Continuing Professional Development programme. Access online resources for career advice and view bookkeeping jobs through the ICB Job Vacancy Portal. Save money with ICBenefits and get preferential rates on products and service offered by ICB partners. ICB Logo – Can be displayed on your website, stationary and promotion materials. Practice Directory – You will be listed on the ICB website promoting your practice and licence for potential clients. AML Supervision – Supervision as legally required by Money Laundering Regulations (MLR). AML Software – Enables you to carry out due diligence checks and risk assessments for clients. Business Support – Exclusive web content is available to help you set up, develop and run your business. This bookkeeping course is ideal for those who have already successfully completed the Level 2 Certificate in Bookkeeping, anyone whose job role demands they carry out the role of a chartered bookkeeper or those who simply wish to enhance their bookkeeping and accounts knowledge to boost their employment options. We recommend you to have a working knowledge or bookkeeping and basic numeracy skills. The ICB Level 3 qualification is also an intermediate step into the ICB qualification structure and can be used take your career as a bookkeeper/finance professional to the next level.